Does it annoy you when people regard Near as a copy of L? The fans pick: Yes, he isn't. If you could ask Near any question, what would it be? In Death Note volume 13, the author states that she doesn't like Near because he cheats. Do you agree? Is there a quality that you DON'T like about Near? Near (ニア, Nia? ), whose real name is Nate River (ネイト・リバー, Neito Ribā? 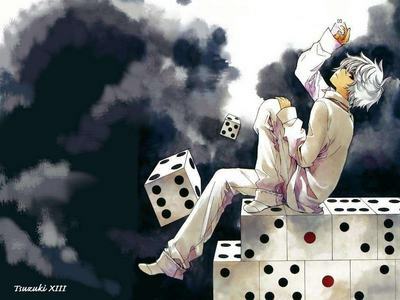 ), is a fictional character of the animê and mangá series Death Note and in the film L: Change the WorLd. Near is the younger of the two successors of L, and the leader of the SPK (Special Provision for Kira), an organization that looks into the Kira case and, in the end, succeeds in uncovering Kira's identity. There have been various copycat crimes around the world which were based on Death Note. On September 28, 2007, two notes written with Latin characters stating "Watashi wa Kira desu" (わたしわきらです, meaning "I am Kira" in Japanese) were found near the unidentified remains of a Caucasian male in Belgium. Nothing was found on or near the victim besides these two notes. A senior at the Franklin Military Academy in Richmond, Virginia, United States was suspended after being caught possessing a replica "Death Note" notebook with the names of fellow students. a comment was made to the poll: If you saw Near in let's say a toy shop, what is the one pergunta you would ask him? Fill in this Near quote: "...I grew to like ___ mais and more." Are you a big fã of Near?